When Jesus died, He disolved the old “order” and created a new order which born-again Christians like me believe in. Martin Luther went out of the catholic church and directed a more true belief according to the Bible. He attacked the Pope and many of the structures in the church. He cleared the path to true Christian wisdom in many ways. He wasn’t popular and had to seek cover many times, and people hid him. 3. january 1521 he was banned by the Pope. In 1522 the New Testament was finished translated from Greek to German and he and his collaborators completed the translation of the Old Testament in 1534, when the whole Bible was published. The New Testament was so popular that they had to print more editions of it. We have many of Luthers prints in our Christian legacy, he was the founder of the evangelic lutheran church. He was a seminal figure in the Protestant Reformation too. Luther taught that salvation and, consequently, eternal life are not earned by good deeds but are received only as the free gift of God’s grace through the believer’s faith in Jesus Christ as redeemer from sin. In 1542, Luther read a Latin translation of the Qur’an. He went on to produce several critical pamphlets on Islam, which he called “Mohammedanism”. Luther saw the Muslim faith as a tool of the devil. All things were made by His Word. Of the battle He won. Of trials and pleasures each. To meet our immediate needs. We find that which we seek. And power is given to the weak. As we travel on life’s way. And strength to equal each day. As we travel life’s rugged road. And His faithfulness is sure. And by our faith, we will endure. Thirty years ago everyone shook hands on each other. Today, some Muslim men will not greet women. My mother used to say that you can not blow in a trumpet the opposite way. You get tired without getting any music out of it. Use the nozzle and the right side of the trumpet. I remember this when I look at the situation in Western Europe today. An example is Norway. When I came to Norway thirty years ago and was in asylum reception, and when I later worked in nursing homes and hospitals, nobody spoke of halal meat. No stores had signs where they advertised halal meat. But eventually there was halal meat in prisons, hospitals and everywhere else. Thirty years ago, there were very few who used hijab. When I wrote about a hijab ban, the feminists replied “Almost no one uses hijab, maybe only 200 pieces.” Eventually, more and more people have been using hijab. And in Norway there is now more hijab than in Pakistan or other Muslim countries. We have hijab fashion, hijab program leader. And women with hijab like “hate white men” sit at the lunch table of the prime minister on March 8th. It is a symbol of 8 March – the day of women’s liberation. Thirty years ago, there was no children-hijab, but today kindergarten children go with hijab. Thirty years ago, no burkini was found. Now there are many who use burkini. Thirty years ago, nobody used to burka. If you are taking a trip in Oslo today, for example in Greenland, it is like “little Karachi”, Mogadishu or Afghanistan. Thirty years ago, great religious markings such as eid, ramadan, muharram (southern moon) were not marked in public. Today there are large and visible selections. During eid celebration in Valhall sports facilities, with separate seats for women and men, the prime minister is present. 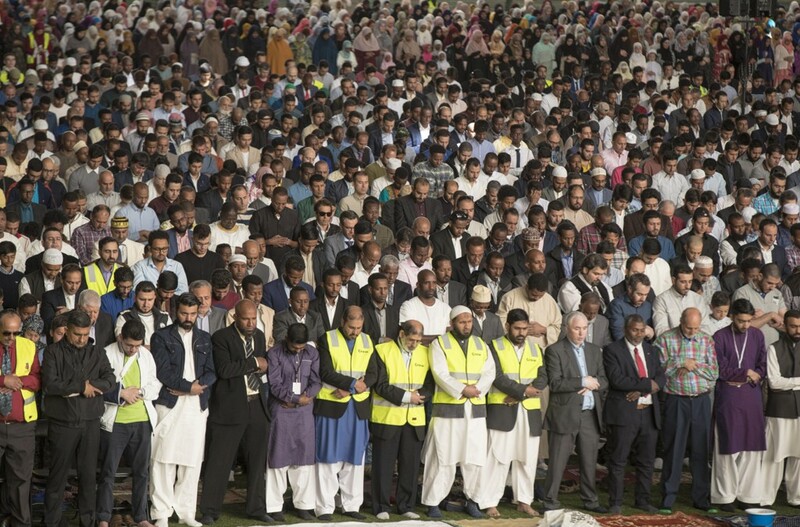 Women and men were separated during the eid celebration in Valhall in Oslo in 2017. Thirty years ago, hanging curtains at restaurants was not possible. But today it is hung up in some restaurants so that the women can sit separately from men. Thirty years ago people worked where they got a job. Today, more and more people refuse to work where they can go to sausages and salami, even if they wear gloves. Pork can be seen as a good reason to either go home and live on NAV. Thirty years ago it was usual for a five-day work week for all. Today, you need to have a leave on Fridays to attend the Friday prayer. Thirty years ago, there were very few mosques in Norway. Now there are close to 60 mosques only in Oslo and Akershus. Several of them are built with, among other things, money from the treasury. Thirty years ago, people did not blame for not being stamped as racists. Now all means are used to bring life into the blasphemy law and restrict freedom of expression. Chronicles, demonstrations, threats and even killing are funds that are taken into use. Thirty years ago, there were no Sharia courts. But now Muslims do everything they can to introduce sharia courts in Norway, as they did in Britain. Sharia laws is practiced in some mosque environments. Now they want and that it must be approved by the state. Some headless naive people even support this. What will be the next requirement? Own tram and bus for women? Own tram and bus for men? Gender-shared public transport so that Muslim men are not excited to sit next to a woman? Or is it next to stop serving and selling alcohol on Fridays? Cut out to serve alcohol and ribs for the Christmas table because there are some Muslims present? What will be the next requirement? Gender-divided schools? Prohibition of high-heeled shoes and perfume because Muslim men get excited? What will be the next requirement? A guardian of Muslim men and their headless supporters who will ensure that satire, drawings or posts are not published in the newspapers? That those who criticize Islam are not interviewed by the media? What will be the next requirement? Swallow all opinions and offend all people for Muslims to not be violated? Have not Muslims violated millions of women in 1400 years because they have treated them inhuman? Do not Muslims violate millions of women by making them to grandchildren, rocking them or committing bigami? How many women have been killed or lost over their heads because they have given birth to girls or boys? What will be the next requirement? That national anthem changes? Because it praises the Norwegian people and Norwegian nature? And remove the cross from the Norwegian flag and replace it with the red moon? We are going to delete everything that makes Norway to Norway. Europe to Europe. Little by little Norwegians will no longer know who they are. They become identityless and it becomes easier to color them with Islam. Europe and the United States have a bad conscience because of slavery. But Muslims were also big slave drivers. They castrated male slaves. And in this way they destroyed people. We see many African generations in the United States and Europe after slavery. But in Arab countries there is hardly anyone because they were castrated. We are still talking about the Vietnam War and World War II. Why do not we talk about Islam and Muslims treatment of Jews, Persians, Christians, Gays and Women, the Unbelievers and Converts? Because no one dares to write about it. Because Muslims are violated. Why does all criticism stop when Islam and Muslims are mentioned? Why should not Muslims taste their own medicine. Be violated? Muslims came to Norway. But they did not integrate in the country they came to. Instead, they demanded that those living here should integrate in their religious and political ways. They blew in the opposite direction of the trumpet. And they managed to make such a strong and magical sound that all of Europe danced for them. Stop all special demands from the Muslims. Treat them as ethnic Norwegian and remember one thing. Norway is Norway, with all its characteristics: Equality, freedom of expression and democracy. 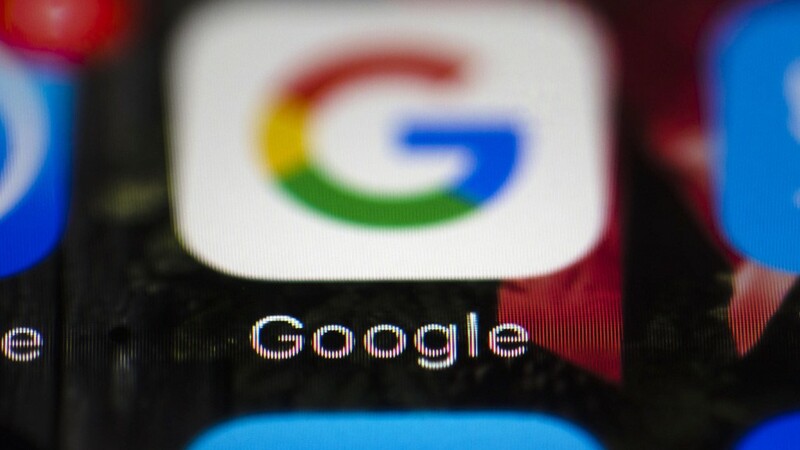 Facebook has lifted the exclusion of the disputed philosopher Nina Karin Monsen after the link to the article “Homosentimentality“. In addition, Monsen receives a regret from the social media, writes the day. – It looks like we made a mistake and removed something you published on Facebook that does not violate our policies. We would like to apologize and inform you that we have now recovered the post and removed the blocking of your Facebook account, it says in an email that the newspaper has accessed. The article she linked to, addresses questions about marriage and KrF politician Geir Jørgen Bekkevold’s marriage of a lesbian couple. It’s the third time she got the quarantine from the social media, and originally the exclusion should have been for 30 days. The homolobby has for many years been under the skin for many. This is reflected in the slow but surely acceptance of the people. To be gay and live it out should be normal now. God hates sin, and gay practice is a sin in the Bible. BUT Gays are loved by God. But they should not have positions in the church. It has gone too far now, including Muslim/Christian devotional book, etc. Roger Waters among group of more than 100 artists who call for boycott of Eurovision in 2019, which is to be held in Israel. A group of more than 100 artists on Friday published an open letter in the British Guardian newspaper in which they are calling for a boycott of the Eurovision Song Contest 2019 if it is held in Israel. “We, the undersigned artists from Europe and beyond, support the heartfelt appeal from Palestinian artists to boycott the Eurovision Song Contest 2019 hosted by Israel. Until Palestinians can enjoy freedom, justice and equal rights, there should be no business-as-usual with the state that is denying them their basic rights,” wrote the artists. The violent riots in question took place along the Gaza border on the day the US relocated its embassy from Tel Aviv to Jerusalem. At various points during the riots, IDF soldiers were attacked with guns and various explosives, including grenades, pipe bombs, and firebombs. Hamas openly admitted, contrary to the artists’ claims, that the majority of the rioters who were killed were members of the group. “We understand that the European Broadcasting Union is demanding that Israel finds a ‘non-divisive’ location for the 2019 Eurovision. It should cancel Israel’s hosting of the contest altogether and move it to another country with a better human rights record. Injustice divides, while the pursuit of dignity and human rights unites,” it concluded. 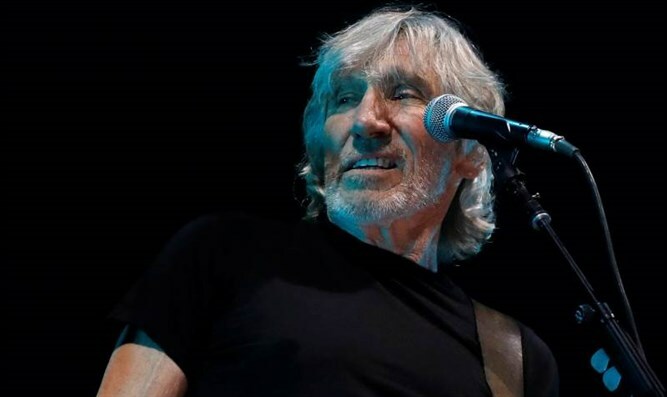 Among the signatories to the letter are former Pink Floyd member Roger Waters, who has for years led calls to boycott Israel, as well as British composer Brian Eno, a longtime supporter of the anti-Israel Boycott, Divestment and Sanctions (BDS) movement who in 2016 ordered an Israeli dance company to stop using his music. Israel is due to host Eurovision next year due to the fact that it won the 2018 Eurovision contest, which took place in Lisbon on May 19, with the song “Toy” sung by Netta Barzilai. Contest rules state that the winning country hosts the following year’s contest but the winning state can waive the right, as Israel did when it won for the second time in two years in 1979. At the time the waiver was used for economic reasons, as Israel’s leaders cited the cost of producing such an event two years in a row. Israel also hosted Eurovision in 1999 after winning the contest in 1998. Mac Donncha’s call for a boycott came a day after several leftist Irish lawmakers expressed support for boycotting Israel following its winning the Eurovision song contest. Irael is the only jewish country protecting jews. Its a legacy for thousand of years, and is conceived by Abrahams God. We humans cannot break what God desides, His plan is unbreakable. So when artists go together, its sad, I will boycott them forever. And I will make sure that this goes on all social media I have and its much. Now I go to Abraham’s God in a channel of love, care and as a father. It has opened a new world of trumpets and fanfare that plays for me and my victory over myself. I am now on my way to spiritual maturity and will not look back. They say we Christians are full of prejudices and rules, but in reality we are set free! We are set free to do good in life, because God appreciates success. Jesus had complete success and delivered the message of eternal life as he rose from the grave. People forget the following: God hates sin but loves the sinner! So ALL are welcome to God, but you must put away sinful lifestyles. Then you must confess your sins with your mouth. Then open your heart and say Jesus is your savior. When you mean this with all your power and heart, you are actually saved. It will probably take some time before it glides in. And it can happen overnight, as it did for me. But sure as the day is bright, you will experience a change in your life. You are no longer the center of your life, and your ego is centered around Jesus. It opens up opportunities you do not know the reach of. God’s light is so strong that Satan’s light fades and does not look good. You see it in temptations that are not good for you. They stretch like evil tentacles into your life with bright front cover. It seems that it comes from God. But you can see if it has love in it, and Satan’s messages and messages do not have this. Just selfishness, hate and dark self-esteem. The light of God is so strong that we may misunderstand this as our own development. God is close to you even if you do not believe! God is close to all people !. He wants you to “come home” and listen to what the Creator always had for you. He loves you more than anyone manages. You see nothing and understand nothing, something just happens to you. So then is it up to you to choose, eternal life or death?